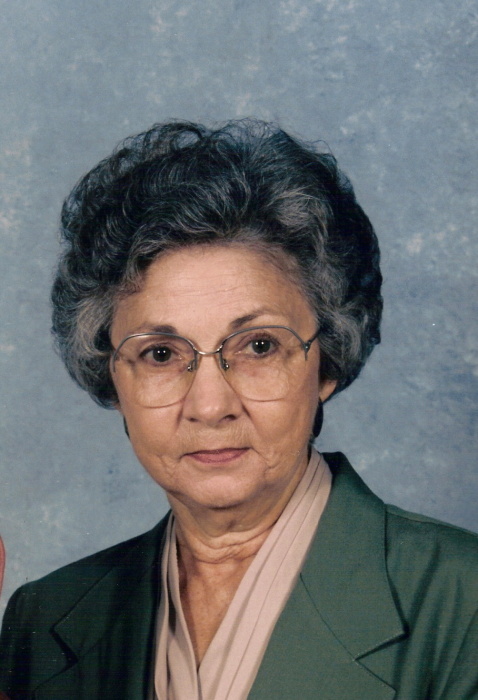 Waynesville, Ruth Knight Moody, age 86, passed away on Monday, February 11, 2019 at Maggie Valley Nursing & Rehabilitation Center. A native of Haywood County, she was the daughter of the late Cash and Callie McGaha Knight. In addition to her parents she was preceded in death by her husband, Coleman Moody, who died in 2009; a daughter Marla Moody Burgess, two brothers, Alfred and Lewis Knight; and two sisters, Nettie McElroy and Mattie Killian. Ruth was a member of Allens Creek Baptist Church. She was a talented seamstress, and enjoyed canning, gardening and spending time with her grandchildren. Ruth is survived by her daughter, Patricia Moody Rohling, of Fort Lawn, South Carolina; son, Ashley D. Moody (Karen), of Maggie Valley; sister, Sally Ketner, of Maggie Valley, four grandchildren; and twelve great-grandchildren. Funeral services will be held at 11:00 a.m. on Friday, February 15, 2019 in the Waynesville chapel of Wells Funeral Home with Reverend Scotty Patrick officiating. Burial will follow in Buchanan Cemetery. The family will receive friends from 6:00 until 8:00 p.m. on Thursday at Wells Funeral Home of Waynesville. Memorials may be made to Allens Creek Baptist Church, 549 Allens Creek Road, Waynesville, NC 28786.